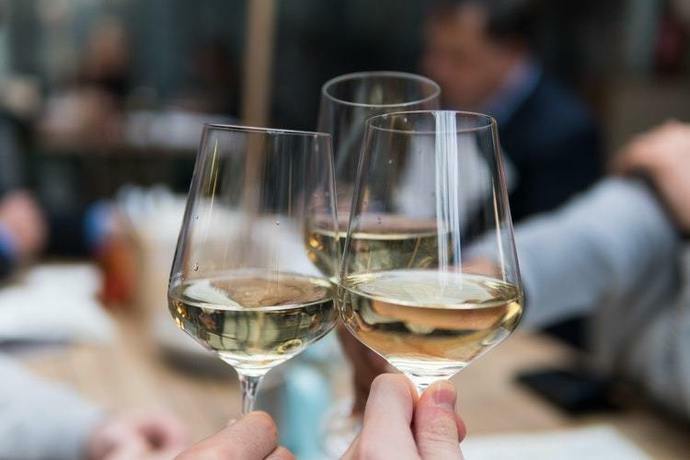 After a long day at work, sometimes you just need a break, which is why almost all bars and restaurants have a happy hour with discounted drinks and small bites. However, if you've been to various places, then you know some have better a happy hour than others. Don't waste your hard-earned money when you can get a better deal and have just as good of time. Relax and unwind with the best happy hour specials in Sarasota. This upscale restaurant in Downtown Sarasota offers delicious healthy eats and tasty drinks. Their happy hour is Tuesday through Friday from 4:30 p.m. to 7 p.m.,and if you're looking for something with a kick, try their Jalapeno Tequila! Named after Key West's Duval Street where the party never stops, it's no surprise this restaurant has an incredible happy hour. From 3 p.m. to 7 p.m. seven days a week, Duval's serves decadent bar bites like crab-stuffed mushrooms and reasonably-priced martinis, wines, and premium wells. Beer lovers will rejoice at this hip bar that offers happy hour specials throughout the week, all of which feature great beer selections. Even if you're not a fan of beer, you'll still love the atmosphere: Mandeville Beer Garden is open, inviting, and fun! With great specials, a large menu, and gorgeous decor, Boca is definitely a top choice for the best happy hours in Sarasota. One downside may be the limited bar space, which means you'll have to leave work a bit early... we know, sad. No limits here! This beautiful restaurant overlooking St. Armands Circle celebrates happy hour everyday from 2 p.m. to 6 p.m. where you can enjoy all drinks half-price. Come to Tsunami before 6:30 p.m. and enjoy discounted drinks for the rest of the evening. Special food items are available as well as their regular menu, which offers an abundance of fresh sushi selections to accompany your wine. This hip farm-to-table style restaurant definitely lives up to its name, the Coolinary. During their happy hour, which is Tuesday through Sunday from 5 p.m. to 6 p.m., you can find great specials and even two-for-one deals on all drinks! This American-style restaurant is the place to go for great food, service, and of course happy hour. Every day from 4 p.m. to 7 p.m., you'll find half-priced bar bites, $3.75 martinis, $5 top shelf beers, $6 specialty drinks, and much more! Related content: Stuff Your Face with Sarasota's Best Burgers! Swap out your usual after-work plans for some fun and the best happy hour specials in Sarasota. Find more bars in Sarasota and Sarasota restaurants by registering on 941area, your free guide to everything Sarasota.